Risk is a part of every negotiation, but how much? Risk is a funny thing. A lot of us would like to be able to live a life that was filled with certainty. We’d like to know what was going to happen today as well as tomorrow. However, as we all know, life really doesn’t work that way. We understand the simple truth that everything changes. Anything that we have today can go away. Life truly is fleeting. All of our lives involve some amount of risk. Are you comfortable with the amount of risk that is in your life? One of the things that it can be hard for new negotiators to get used to is the understanding that there is a great deal of risk involved in every negotiation. What we all need to understand is that in a negotiation no matter what negotiation styles or negotiating techniques are being used, there will always be some amount of chance. As negotiators, this means that we need to get used to taking chances. Clearly we need to be careful here –we need to cautious and only take sensible risks. Each of your moves has to be thought out and carefully planned with intelligence and foresight. Experienced negotiators realize that in a negotiation they will never be able to get what they want if they are not willing to take some risks to get it. If you are not willing to take risks, then you risk losing the thing that you most wanted to get out of the negotiations. 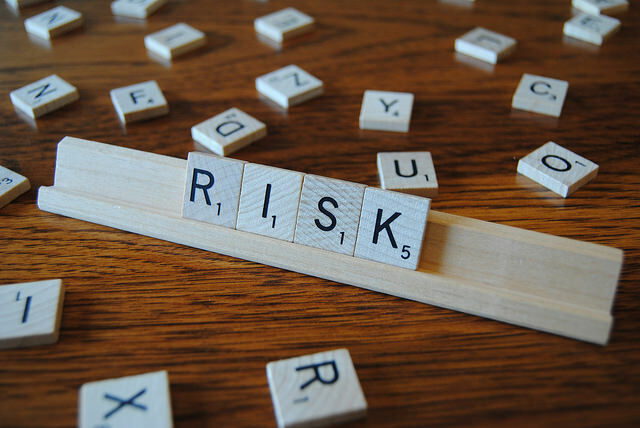 The types of risks that you need to be taking have to be both reasonable and prudent. There are scenarios in a negotiation where one party will refuse to take a risk. Even in a situation where it looks like they will be successful, they may still refuse to accept whatever little risk there is associated with taking a particular position. The motivation for this type of behavior is actually quite simple to understand. In this case the individual is focusing on one thing and only one thing: the worst case scenario. They just can’t justify placing themselves in a situation where there is any chance that they might end up losing. When we are faced with a situation during a negotiation where we are unwilling to take on the level of risk that is being offered to us, we need to take action. The correct thing to do is referred to as “syndicate” your risk. You do this by bringing more people to the table. You have them agree to accept a part of the risk and then the risk get spread out more and everyone takes on less overall risk. A side benefit of doing this is that you’ll be able to take on more risk as a team than you could take on as an individual. There are a number of different ways that a negotiator can control the amount of risk that he or she is going to expose themselves to. We all enter into a negotiation with a given “size”. We are either smaller or larger than the other side of the table. Our size often plays a role in just exactly how much risk we are able to take on. However, we don’t need to stay the same size throughout the entire negotiation. With the correct planning, we can often find a partner and merge with them for negotiating purposes. This will both increase our perceived size and potentially the amount of risk that we’ll be able to live with. A great deal of negotiating is about power. There are a number of different ways to measure the amount of power that each side brings to the negotiating table. One such way is to take a look at the funding that each side controls. Something that we need to realize as negotiators is that the more capital that your side has, the more power that you will also have. When we find ourselves in a position where we have adequate capital funding, we will then be willing to take on additional risk. There are a lot of different things that have to come together to make up a principled negotiation. One of the most important is risk. As negotiators we all have different levels of risk that we are able to deal with and this can determine the outcome of the negotiation. New negotiators often don’t realize just how large of a role risk can play in a negotiation. Experienced negotiators realize that if they want to get the outcome that they desire, then they are going to have to deal with a certain level of risk. There are times during a negotiation where one party will refuse to take on any risk because they fear failing. One way to address this is to syndicate your risk and spread it out over multiple parities. The amount of risk that you are willing to take on may depend on both your size and the amount of capital that you can bring to the table. Negotiators who want to be successful in a negotiation, know that risk is a key part of every negotiation. We all have a different level of risk that we are able to deal with. There are number of different things that we can do that can change the amount of risk that we are able to deal with. Understanding the role that risk plays in a negotiation is the key to using risk to get what we want out of our next negotiation. Question For You: If you are uncomfortable with the amount of risk that the other side is asking you to take on, how can you reduce ho much risk you are facing? When you think about your next negotiation, what comes to mind? Do you see yourself locked into a small, hot room with the other side staring at each other over an old, battered wooden table using all of the negotiation styles and negotiating techniques that you know? If you do, then you are probably mistaken. For you see, in any modern negotiation it really takes a collection of people on both sides of the table in order to create a deal that both sides can agree to. If we’re going to be able to pull this off, then it’s going to take commitment.